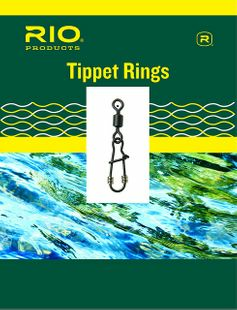 We confidently fish Rio Tapered Fly Leaders & Leader Tippet spools for trout, Steelhead, Salmon, Bass, and other freshwater species. 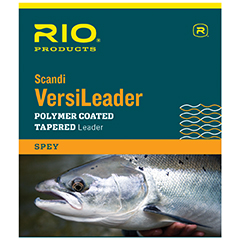 Selecting the right tapered leader can at times be daunting. 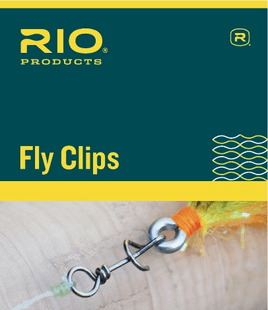 The Caddis Fly Shop inventories and our guides fish a wide selection of quality Rio tapered leaders and tippet materials; the quality control protocols established by Rio ensure that each tapered leader and the various tippet materials are dependably consistent and different products serve the needs of different fly fishing scenarios extremely well. 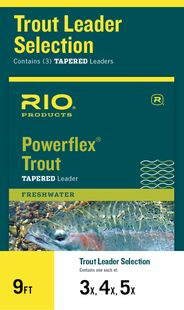 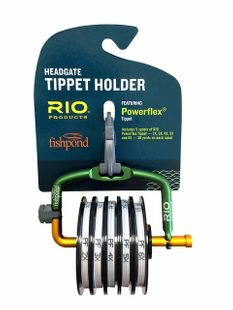 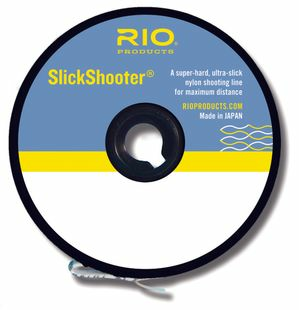 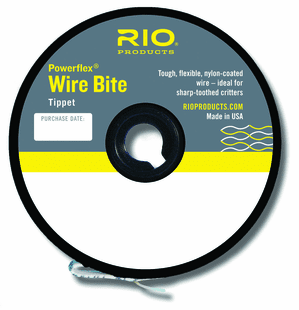 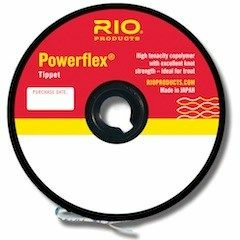 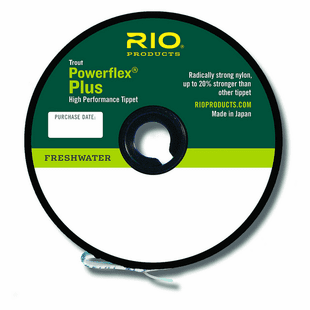 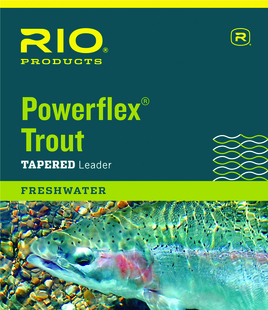 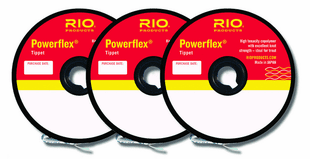 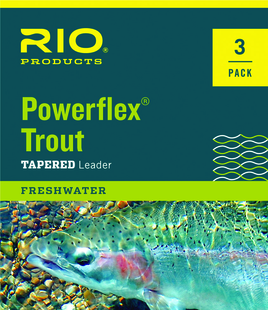 Rio Powerfex: The basic Rio all purpose trout leader: available in 7.5 ft, 9 ft, 12 ft, and 15 ft. 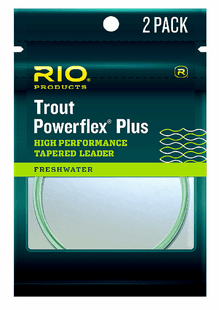 If you fish for trout or similar size fish in freshwater, this leader will come in handy. 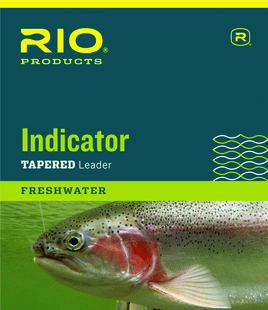 Rio Indicator: If you fish nymphs or egg patterns, with or without indicators, this is your specialty leader. 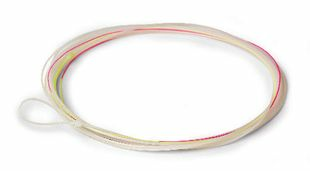 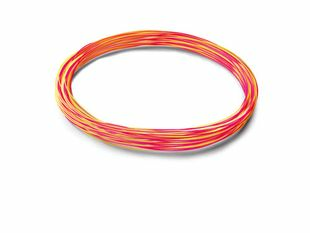 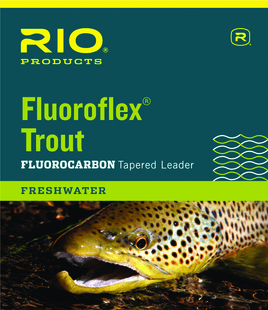 Rio Flurorflex: Nearly invisible, strong for the diameter, good knot strength, this is the all around freshwater fluorocarbon tapered leader from Rio. 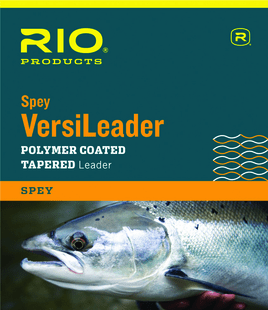 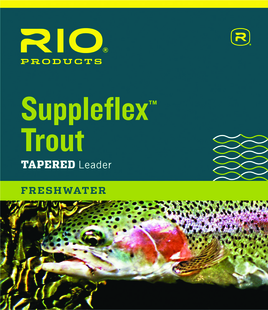 Rio Suppleflex: This is the clear lake and spring creek leader for the wariest of freshwater fish. Supple and fine for fishing the smallest dry flies. 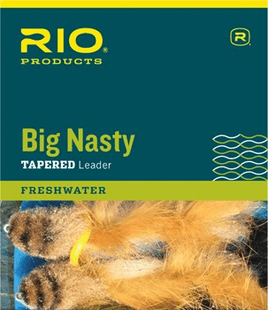 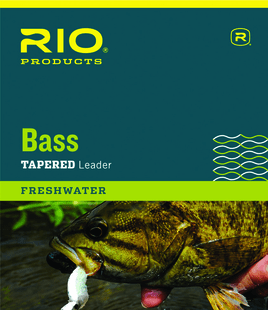 Rio Bass: Rough and tough, just what the Doctor ordered for our bass fishing clients. 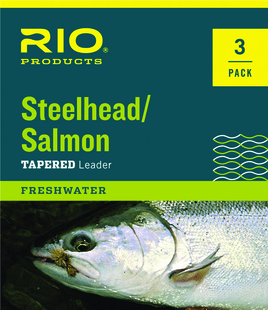 Rio Steelhead - Salmon: the demands of presenting dry and wet steelhead and salmon flies, on short and long leaders, with weighted or un-weighted flies; one or another of these Rio specialty leaders will do the trick. 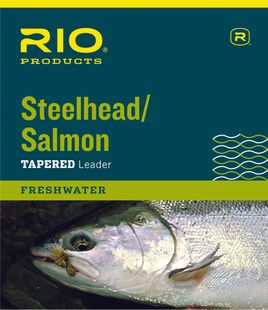 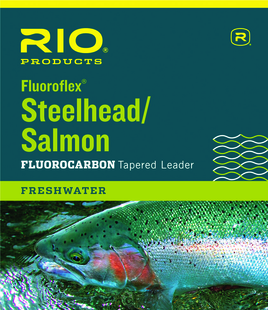 Rio Steelhead - Salmon Fluorocarbon: If you fish steelhead or salmon in low clear water, or fish over spooky sea or lake-run fish, this is the stealth leader for you. 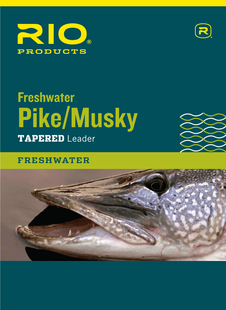 Rio Pike Musky Tapered leader: Rough and tough, with a wire tippet to protect you from the sharp teeth of pike and musky.